If you hold your index finger very close to your eye, with your other eye closed, you can block out the sun. Some people see only themselves and lose perspective of who else is in their lives. When a problem occurs in a person’s life they tend to focus on that problem almost exclusively, as if they were holding their index finger to one opened eye and blocking out the sun. The “problem” overtakes them, all other issues and consequently all other parts of their life seem to fall into the background. When “that” problem is a personal, emotional, relationship issue then the obsession with that particular problem virtually dominates every thought, every conversation and many day to day actions and reactions. Most adult people’s lives are made up of many component parts. Simply put: work, home, family, friends, social life, spiritual/religious beliefs, health, exercise, sports, hobbies, leisure, downtime activities like watching T.V., reading, sleeping on the couch. Some of these component parts have sub-component parts. For example, family, you might have a spouse, each of your children, your parents-in-law, siblings and their families, cousins, nephews, nieces, your spouse’s extended family network, etc. etc. As you can see, if each of these 12 component parts have, say, 10 such sub-component parts then there are 120 “categories” in your personal “filing system”, all of which need some level of attention at varying times in your busy life. With 120 items to cover when one personal, emotional, relationship issue preoccupies you, your time and your attention, then the other 119 items get pushed back and become insignificant. As you struggle with your pre-occupation of this personal, emotional, relationship issue your perspective is adversely affected. The balance in your life is affected, sometimes very badly. Your pre-occupation with this one relationship issue could put you ill at ease, it could, if prolonged unduly, cause you dis-ease. If allowed to fester, develop and grow it could cause you disease. While you are single-mindedly attempting to deal with the one issue, the other 119 issues that comprise most of your life are suffering from neglected attention. If you don’t water an indoor plant it will eventually die. Many of these remaining 119 issues may also wither from neglect. The fact that you have lost perspective and are dealing with that one relationship issue exclusively highlights the imbalance of your life. By placing undue attention on that one relationship issue, you may be placing the other person in this relationship issue under a lot of pressure to resolve issues that he/she may not be ready to resolve right now. So, what would happen if tomorrow you decided you are no longer going to put any more of your attention on this relationship issue? You are simply going to ignore it, for now? Would the sun suddenly rise in the West and set in the East? The other person in the relationship would wake up tomorrow and prepare themselves for another day of pressure being applied by you in trying to resolve this relationship issue. When their energy is not being used to attack or defend, your, or their, point of view suddenly their energy won’t know what to do. After a few days or weeks perspective may return to that relationship issue and obvious answers start appearing because the released energy can be used creatively to resolve the relationship issue, not simply defend or attack different points of view. While you let go of your obsession a few days earlier than the other person, you were able to use your now freed-up time and energy to attend to the other 119 items in your personal filing cabinet. After a while, the perspective of your whole life starts to return to normal. Your balance in life gets corrected. Things start to run smoother, are easier to resolve and solutions come to the fore as your relationship problem recedes. 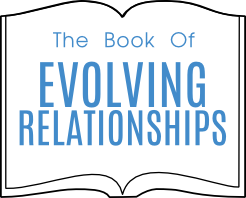 Although you have not necessarily resolved your relationship issue, by letting go and standing back, you have allowed your ego to reduce its stranglehold on your personal, emotional, relationship issue. If your ego can be recognized as a major stumbling block to resolving this issue then you are 90% of the way to resolving it. The other person in this relationship issue also needs to become aware of how their ego is affecting the resolution of this relationship “issue”. We have dealt with this role of Ego and Soul in relationships extensively in other lessons on Guidespeak.com. If you really want to resolve this personal, emotional, relationship issue by eliminating Ego and coming from Soul then the answers are here on this website for you.